As a member of Veteran Intelligence Professionals for Sanity, I am proud to post this appeal from our group for Senator Mark Udall to release the full text of the Senate Torture Report. 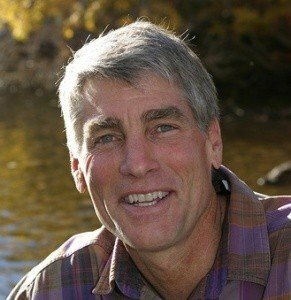 Senator Mark Udall has called for the full release of the Senate Intelligence Committee’s report on torture. However, as a still-sitting member of Congress, he has a constitutional protection to read most of the still-secret report on the Senate floor — and a group of intelligence veterans urges him to do just that. You had told Raab on November 21, “What happened [the torture, lying, and cover-up] broke faith with the Constitution,” adding, “There are some that would like this report [the Senate Intelligence Committee Study] never to see the light of day. There are some that are running out the clock.” Clearly, you are on to their game. Are you going to let the clock run out, when what we actually need is a full-court press? QED – as you have demonstrated – there is no “real leadership” in the White House on this transcendentally important issue. Whatever it is that you fear, you might keep in mind that several of us – who lack the immunity you enjoy – have paid and continue to pay a heavy price for exposing lies, injustice, and abuses like torture. One of us – the first to reveal that those grisly kinds of torture (aka “enhanced interrogation techniques”) were approved at the highest level of government – is in prison serving a 30-month sentence. A number of us have seen the inside of prisons for doing the right thing; and all of us know what it feels like to be shunned by former colleagues. Also important, despite our many years of service as senior intelligence officers and our solid record for accuracy, we are effectively banned from the so-called “mainstream media,” which continues to prefer the role of security-state accomplice in disparaging, for example, the findings of the Senate Intelligence Committee Study. (Never mind that the study is based on indisputably original CIA cables and other documents.) In contrast, you are not banned from the media – yet. You have a few more days; you need to use them. In your “Additional Views” on the Senate committee Study released on Dec. 9, you applaud Sen. Dianne Feinstein “for seeing this project to completion.” But wait. You are surely aware (1) that the project remains far from complete; and (2) that if you or one of your Senate colleagues do not move tout suite to release the full Study together with the earlier review commissioned by Panetta, the “project” will not be brought to “completion” any time soon – unless a courageous whistleblower runs great risk and does what you can do with impunity. In your “Additional Views” you note that, as a new member of the intelligence committee four years ago, you were “deeply disturbed to learn specifics about the flaws in the [torture] program, the misrepresentations, the brutality.” You add that you wrote the President letters about this in May, June, and July of this year. Surely the lack of response told you something. Please – not another letter to Obama. You need to go beyond letters. Now it’s your turn, Senator Udall. Put Constitution and conscience into play, together with the immunity you enjoy. You can – and, in our view, your oath to the Constitution dictates that you must – rise to the occasion and find a way to release the entire 6,800-page Study, including CIA’s comments (but not redacted to a fare-thee-well). You need to put this at the very top of your job jar – now, before it is too late. The American people are owed the truth. As you have noted more than once, they are not likely to get it from Brennan – or the President for that matter. Nor will it come from the mainstream media with their customary “on-the-one-hand-and-then-on-the-other” approach to journalism. Polling data on the widespread acceptance of using torture “to keep us safe” is a direct result of that kind of coverage – as well as of the artful crafting of words and phrases in the questions asked in those surveys. Finally, Senator Udall, history books will record the release of the highly redacted summary of the five-year-in-the-making Senate report on torture. It will also record whether or not the Senate rose – even if only in the form of a single, un-intimidated man, to expose truly and in fullness what was done in the name of the American people. Our history is replete with such individual acts of courage by Americans who put country before self. Will you join them? State think torturers should be punished…when it involves Syria. His courage in calling attention to an actual, White-House-approved program of torture was key to the release of information today. And during his time in prison, John has never been allowed access to the Internet. He only sees messages of support from those who have the guts to put their names on a letter and mail it to him. Write, already! I’d sign this too if I had a chance. Only a few days left for him to find some inner strength. That’s why it won’t happen. 500 words per page, 6700 pages, 150 words per minute..
ain’t gonna happen..even if he wanted to.